Gene regulatory networks are one of the main cellular infrastructures that confer defined biological functions. Our research focuses on synthetic and systems biology - the analysis, construction, and exploitation of these regulatory networks for cellular functionality reprogramming. 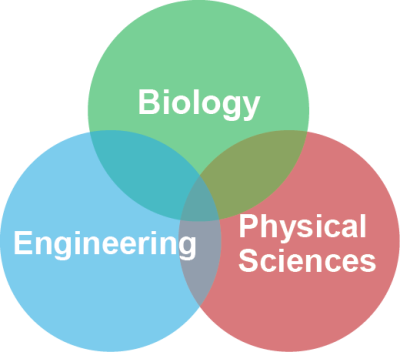 This is an interdisciplinary research area that spans the boundary between biology, engineering, and physical sciences. Specifically, we are interested in understanding the architecture and dynamics of naturally existing networks, primarily those in bacteria, and exploring their relationship to cellular function. Interesting examples include bacterial communication networks and their engagement in cellular collective behaviors. We are also interested in engineering gene circuits for biomedical applications by assembling and editing genes and genomes inside living cells. This is very much like building integrated circuits with transistors and other elements for a computer. Along that line, microbiota reengineering is very attractive to us because of its potential for therapeutic interventions. 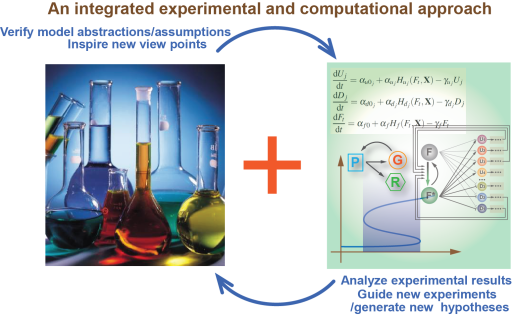 To pursue our interest, we have adopted E. coli and other bacteria as our model organisms, and have also employed an integrated experimental and computational approach. Experimental techniques from molecular biology and theoretical tools from nonlinear dynamics and statistical mechanics are extensively used in our research. Our long-term goal is to uncover nature's design principles of gene regulatory networks and to apply these principles to engineer novel circuits for biomedical applications.